This is such a fun recipe! To make the crust, in a food processor fitted with an "S" blade, process the walnuts and dates until they're ground up fairly well and start clumping together. Press into a dinner plate or pie plate (or a small pizza pan!). In a bullet type blender, puree the cashews, water, dates, and salt until creamy, which takes a few minutes. Once blended, pop in the freezer to chill for a few minutes. Again using a bullet type blender, puree the strawberries and date paste until very smooth. Using a food processor fitted with a grating blade, grate the bananas (less ripe bananas work the best). To assemble, spoon a layer of cashew cream on the crust, spreading almost to the edge of the crust. 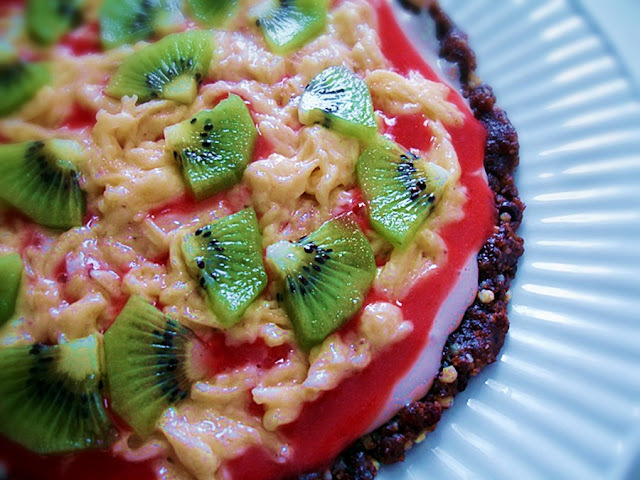 Spoon a layer of strawberry puree on top of the cashew cream. Sprinkle the grated bananas over the strawberry puree (the bananas will be a bit gooey, so it takes a bit of finessing). Top with the cut kiwi. Let chill in the refrigerator for at least an hour before cutting into pizza shaped wedges and serving. That looks absolutely delicious! 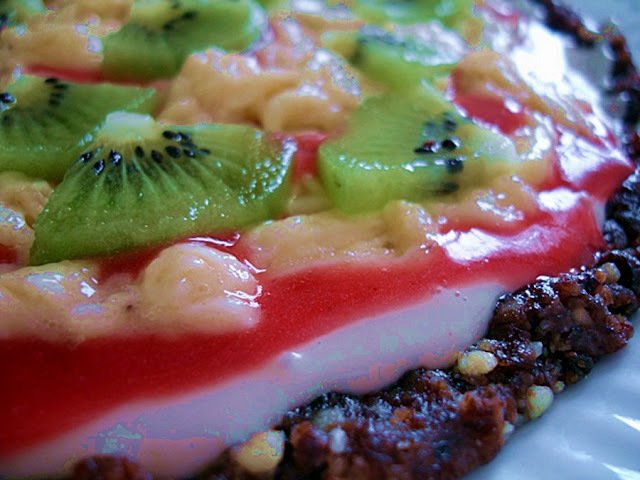 Thanks for sharing this fruit pizza recipe. 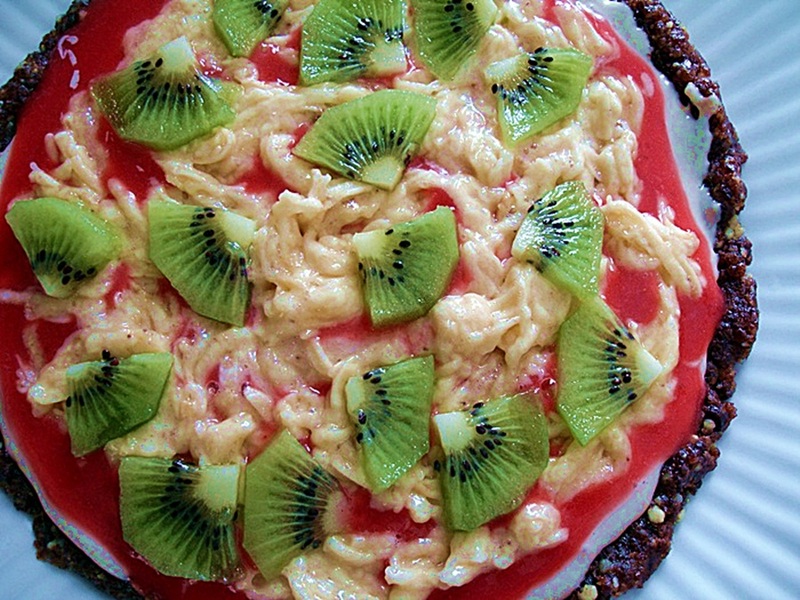 These images are absolutely amazing and kiwi is my favorite fruit! I saw this recipe on Grubodex.com and glad I found another vegan recipe! What a fabulous idea! I've gone the fruit pizza route before, but never quite like this. I definitely have to make it! This dessert pizza looks insaaaane Lisa!!! !